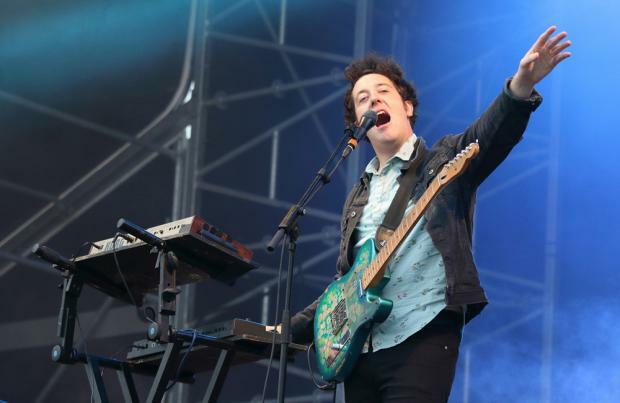 The Wombats, Travis and Rak-Su are just three of the acts added to the line up for the Isle of Wight Festival. The 'Let's Dance to Joy Division' singers and the 'Why Does It Always Rain On Me' hitmakers are set to grace the stage for the 50th Anniversary of the festival, which takes place from June 21 to June 24, 2018. Sigrid, Hot Dub Time Machine and Hurts have also announced to perform over the festival with The Pretty Things, LANY, Bang Bang Romeo and Hudson Taylor hoping to get the crowds going with their tunes. Kara Marni, SG Lewis, Gerry Cinnamon, Wild Front, Paradisia, Slydigs, Mullally and T.Rextasy complete the 18 acts that have been announced on Wednesday (21.03.18). They joined previously announced artists including headliners Liam Gallagher, The Killers, Depeche Mode and Kasabian. Kasabian last headlined the event in 2011, having first played it four years previously, and they admitted the history of the site means a great deal to them. They said: "We're hugely honoured to play at the Isle of Wight Festival. It's kind of a big deal Jimi Hendrix played in the 70's, 50 years on and we're playing it! That's pretty phenomenal, thanks for having us! We promise Friday night will be the one!" The likes of Camila Cabello, Rita Ora and Nile Rodgers & CHIC had also been announced for the festival as well as the Manic Street Preachers, Chase and Status and Kodaline. The 'All I Want' hitmakers said: "We're so excited to be playing such an awesome festival! This will be our third time performing at Isle of Wight festival and we can't wait. Some of our favourite artists ever have played on those stages so we're honoured to join them! Looking forward to playing some new music for everyone!" The Isle of Wight Festival takes place from June 21 to 24 at Seaclose Park, Newport. Day tickets start at £65 and are available to purchase now.